HOW EXACTLY DOES A ST LOUIS WAGE GARNISHMENT GET ON MY PAYCHECK? Only until these steps are taken can a creditor garnish your wages. If any of these steps are missing, then they must start over from the beginning, and sue you for breach of contract. But let us assume that you are now being garnished. This means that the creditor is likely taking 25% of your net earnings (although it drops to 10% if you claim Head-of-Household on your taxes). At this point, the only ways to stop the garnishment is to pay it in full or file a St. Louis bankruptcy. An expert St. Louis bankruptcy attorney can stop a wage garnishment immediately. In addition, a Missouri bankruptcy will get rid of the underlying debt that caused the garnishment in the first place (which means that you never have to worry about the creditor trying to take your hard earned money ever again). 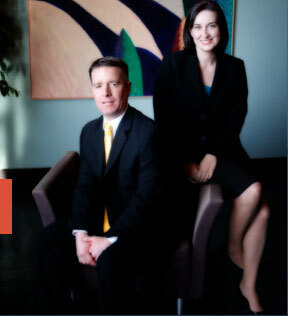 Our staff and lawyers at Brinkman & Alter are ready to assist you in this time of need. We can answer all of your questions, explain your full range of options, and get you on the road towards financial health. The initial consultation is free of charge. So contact us today to learn more! !